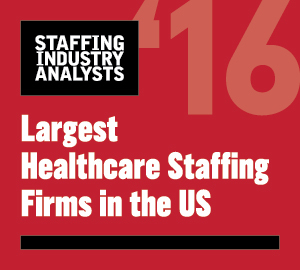 In order to mange a direct care staff shortage shortage, more than half of senior living organizations, 62%, worked with temp agencies to fill direct-care staff vacancies in 2017, with roughly a quarter of providers using agencies often or always, according to the the Ziegler CFO HotlineSM survey. This is up from the prior year’s survey, when 53% reported partnering with temp agencies. The survey also found 18% of the organizations indicated that they have had to limit admissions in the past year because of staffing shortages, similar to the 16% in 2016. The research focused on staffing pressures, largely gathering feedback on direct-care staff, such as certified nursing assistants and other nursing staff. Topics included compensation, staff vacancies, turnover, shortages, and their impact on the organization. The initial question gathered feedback on the impact on organizations of minimum wage increases across some state and cities. Two-thirds of respondents reported that the minimum wage increases have had a moderate to significant negative effect on their organizations, up from 57% in 2016. Those reporting moderate negative effect rose to 46.5% from 28.1% two years ago. Respondents’ vacancy rate among their direct-care staff ranged from a 0% vacancy rate to vacancies in the high 20s to low 30s. The average vacancy rate across all respondents was just over 12%. The survey also asked CFOs to estimate the turnover rate among their direct-care staff, which ranged from single-digit percentages to a high of 88%. The average turnover reported for direct-care staff was roughly 36%, up from 30% in 2016. The survey included more than 115 senior living CFOs and financial professionals from around the country, with nearly 70% representing single-site providers and 30% from multi-site providers.